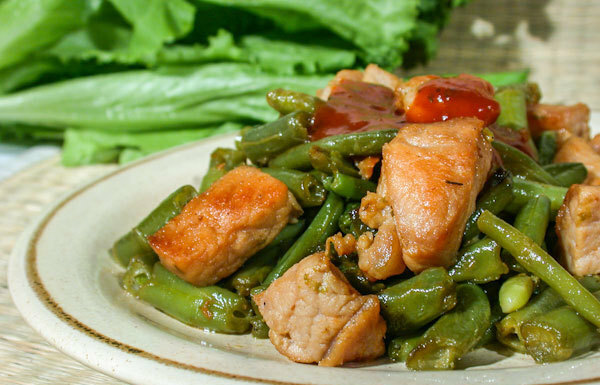 First and foremost this is a simple dish with a pleasant aroma and delicate flavor, besides, it is diet. 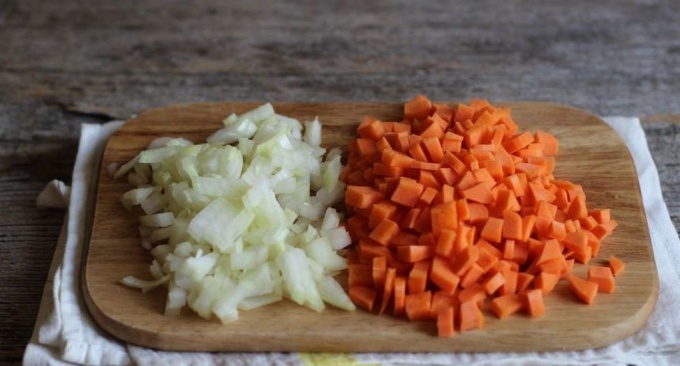 Clean the carrots and onions, wash. Cut the vegetables into cubes. Chicken breast washed and cut into medium pieces. 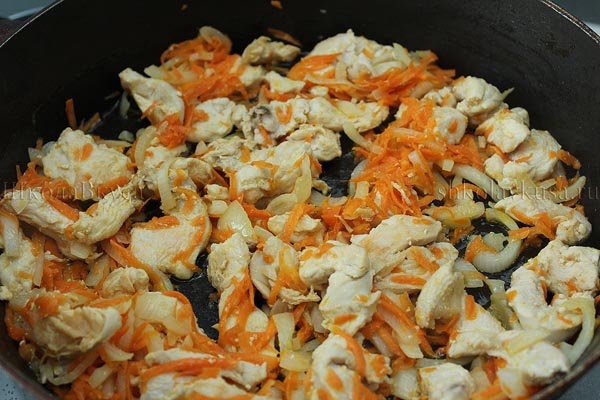 Fry the chopped vegetables and meat in a little oil until tender, about 10-15 minutes. Next, in a frying pan sent the beans with a small amount of water (about 100 grams or half a Cup), stir and then add your favorite spices (optional). Simmer until tender (10 minutes). Serve hot as a separate dish. Calorie content of this dish per 100 grams will be about 45-50 calories. Eat boldly, not fearing for the figure. 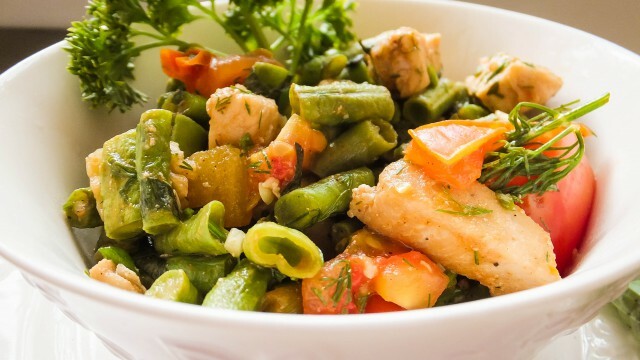 Green beans are rich in vitamins and micronutrients, rapidly absorbed by the body. If dish begins to burn, but the ingredients are still moist, add a little water instead of sunflower oil. To make the recipe unique and flavorful, you can add other useful ingredients. Before serving you can add roasted and finely chopped pine nuts, if you want to give a dish a completely new and unique taste. Added to the dish ground, ground red hot pepper is improve digestion.